Most women learn differently than men. That includes learning to drive a car. Women often have a different kind of attention and support than men. Sometimes, women do not receive the proper resources to oversee and relax while learning to drive. They are thus uncertain and lose control in difficult situations. To learn to drive you need a female instructor for women. In general women are more precise, have to explain more patient and find it often annoying to stuff multiple times.. With emotional support of female instructor women will feel more confident. Therefore it is certainly wise to opt for female instructor. AAK driving school is the the first women friendly driving school in Amsterdam, for more than 30 years. It has been a landmark for giving women friendly driver training, We are connected with BOVAG. AAK is pioneer and stands as benchmark for women friendly driving school in the history of Amsterdam. One lesson lasts 60 minutes including discussion. After your first lesson you can decide whether you want to continue to follow lessons with your driving instructor and if you want purchase a driving lesson package. After your first lesson you get to choose an opinion on the driving lesson package . The lessons for women are constructed according to the step-by-step method, you get structured driving lessons in a logical order and based on your own pace. You get lessons from a solid driving instructor in the exact same car. That is one of the specialties of Driving school AAK. Proper driver training is the foundation for a secure future on the road. The point is that you learn good and responsible driving and you do not 'just' get the license. It is wise to determine in advance what kind of driver training you want to follow. 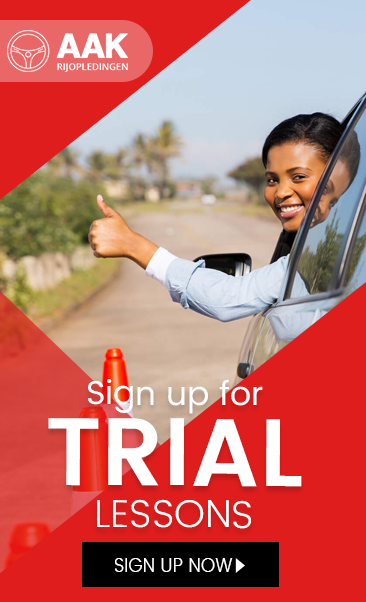 Need ASAP path or you have plenty of time to obtaining the license? How quickly you get your license depends entirely on what you want. The vast majority of women opt for a regular driver training. You can choose to follow one or more lessons per week and worktowards your interim test and practical. Lessons of two hours (block hours) are much more effective than an hour of lessons. Lessons lasting more than two hours are less effective for most women. It's hard to keep your concentration fixed hold after 2 hours and incorporate new information. Not only you get your license faster but also you will eventually need fewer lessons. If you take 1 x weekly one hour lessons it will take you long to get your driving lesson and there is risk that you lose your motivation. In such lesson you spend more than half of your time on trying to remind the previous lesson skills and therefore there is much less class time left for learning new things in the current lesson and therefore you need more lessons than necessary. Lessons of 120 minutes are therefore much more effective than the lessons of one hour! We encourage you to take driving lessons of two hours atleast two times a week if you have the time and financial resources. Follow your driving course for women during the day as much as possible. In the beginning it is not so bad, but as you progress further in your driving course, it is important that you practice complex traffic situations. An examiner expects you to handle complex traffic situations independently and safely.Therefore it is beneficial to learn driving lessons during the day time as you encounter more complex traffic situations during the day than in the evening hours. You driving instructor uses an insightful progress map so you know exactly what you have learned, what level you are and what you still need to learn. In this way, students know exactly how far driving instructor and the learner has progressed and which points require special attention. Students who prepay for lessons package at Bovag driving school are automatically 'BOVAG guaranteed on their lessons. In case of bankruptcy of the driving school, prepaid lessons are taken over by another BOVAG driving school. This ensures that the students do not loose their prepayment in case of bankruptcy of the driving school. Women drive cars better than men. While male drivers are more prone to driving, but because they take more risks, they become more involved in serious accidents. Especially young men are a danger on the road. Statistics show that every billion kilometers they travel over three male drivers are killed. For female drivers this is two. This is evident from calculations done by the Foundation for Road Safety Research (SWOV) organization. Women on average have more often (light) injuries caused due to small collisions. According to traffic experts it is because women tend to drive in residential and shopping areas. Since most collisions usually cause small damages. "If you look at the total picture, women simply drive safe," says the scientist Karel Brookhuis from Groningen traffic office. If men could keep their decency, they would ride better, says SWOV. Men drive more, therefore have more experience and control their vehicles better. But their hormones play tricks on them, making them take more risks and drive recklessly. They are often under the influence behind the wheel, often do less with their belt and look for more confrontation. Especially young men behave recklessly and thereby pulling the overall average for the men in red. In 2005, 62 drivers between 18 and 24 years to life. They were 50 men and 12 women. Also hit 416 injured male drivers compared 212 women. Converted to mileage (in billions) continue to differ in the age of thirty. The first months of your pregnancy you naturally can drive without any problem.. In many cars you have adjustable seats and steering so that your fat belly also still fits during the last months of pregnancy. But there are indications that your reaction in the last month is less and you can concentrate hardely. Our advice is you should consult instructor to make a driving lesson plan and stop with your driving lessons until you feel confident behind the wheel. Our experience is that in the seventh month trouble starts with your fat belly and the necessary concentration thereforetake a break and start one to two months after giving birth again with lessons.